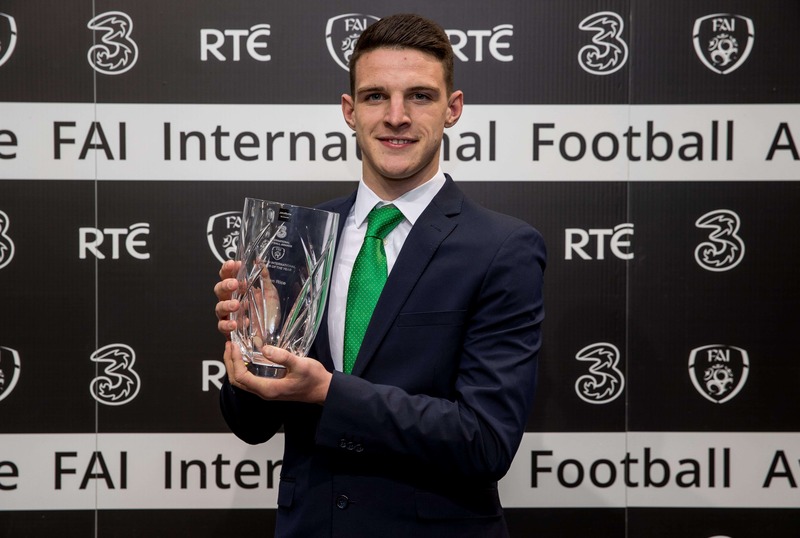 The Irish footballing world is still reeling from the news that star midfielder Declan Rice will continue his international career with Gareth Southgate and England. 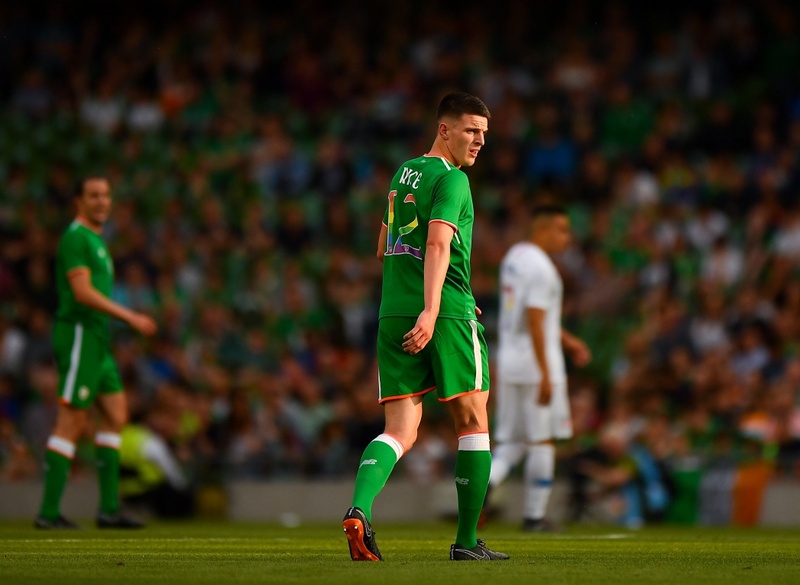 Rice has been embroiled in an international tug-of-war between England and Ireland since August when then manager Martin O’Neill outlined that he had been left out of the squad as he was still deliberating over his international future. But how did Rice’s love affair with Ireland, begin and ultimately end? 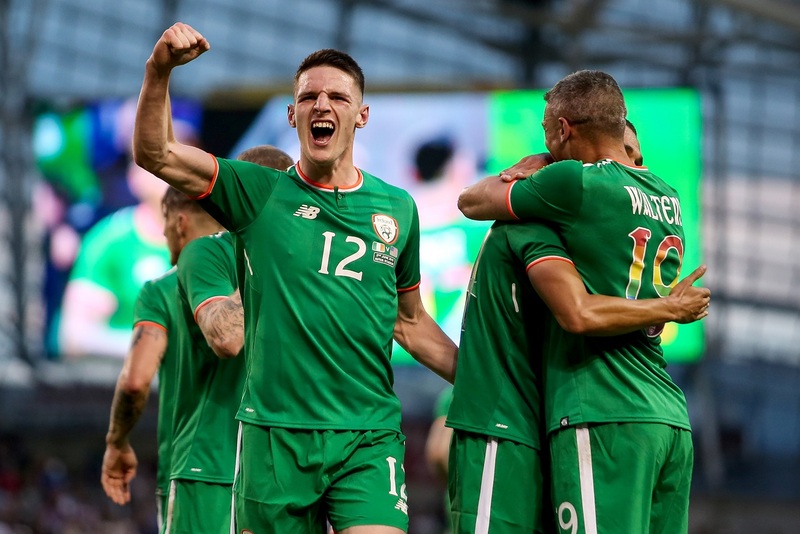 Let’s take a look back at the timeline of Declan Rice in an Irish shirt. 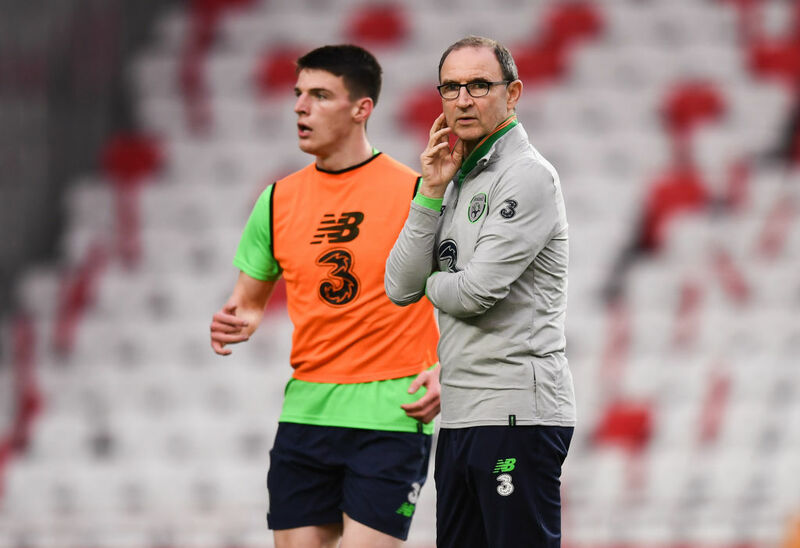 After impressing at underage level for the Republic and making his Premier League debut, Martin O’Neill called Rice up to train with the senior squad for the first time, something the West Ham man and his whole family seemed genuinely excited about. 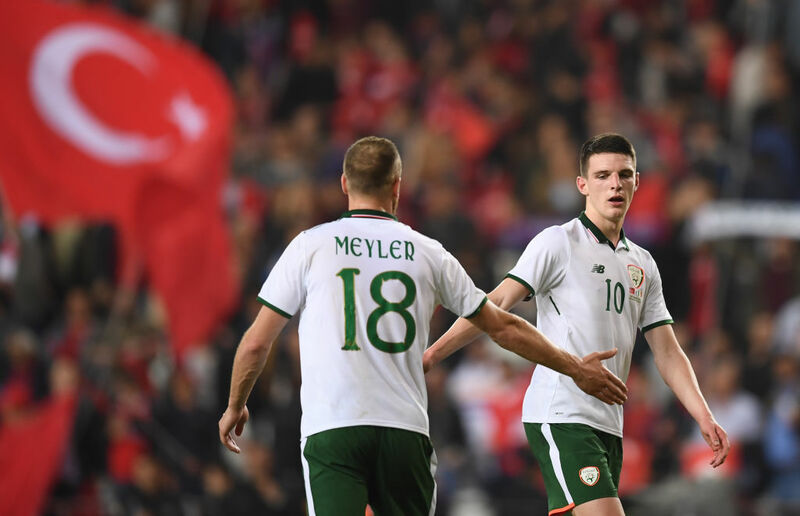 “To play on Sunday, to make my Premier League debut, something I’ve always wanted to do since I was a kid, and then to get the call from Martin [O’Neill] to say that I was going to come in and train . . . it’s a dream come true. “I literally couldn’t believe it and my dad was just: ‘What?’ Nobody could believe it to be honest. 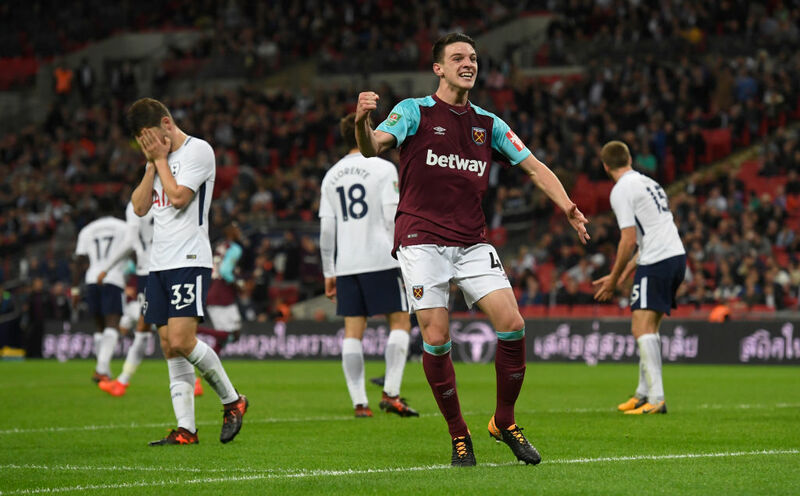 Looking comfortable at Premier League level with West Ham, Rice receives a call-up to the U21 squad and outlines how the taste of first-team training has made him hungry to battle his way into the senior squad. As Rice continues to impress as a part of West Ham’s first team, England manager Gareth Southgate admits that he is a player on his radar. Irish fans hold their breath, dreading a repeat of the Jack Grealish situation. “He is somebody whom we know with our technical department,” said Southgate about Rice. “We are across every young player and, of course, there are plenty of young players with dual nationality. Wales have several players who have been in our system and who have got caps. “So we are always looking. We are aware of him, we are aware of his situation. Just four days later a report comes out from John Fallon outlining that England’s interest has only cause Rice to reaffirm his stance and that he is fully committed to representing Ireland with a full international debut firmly on the horizon. A number of months pass and the England interest in Rice seems to have silenced as the West Ham man is awarded the U19 FAI player of the year and meets up with the squad in Antalya for a friendly against Turkey. “There’s no decision to be made. I have not had a call from the FA and England have never wanted me at under-age level — it’s always been Ireland. “I’m here with Ireland and I’ve been called up by Martin. I’m really looking forward to this week and I’m looking forward to getting to know the boys better. “I’ve probably played over 40 games in all for Ireland since I was a kid,” he continued. “It’s going to be pretty difficult if he’s Irish,” Keane said. 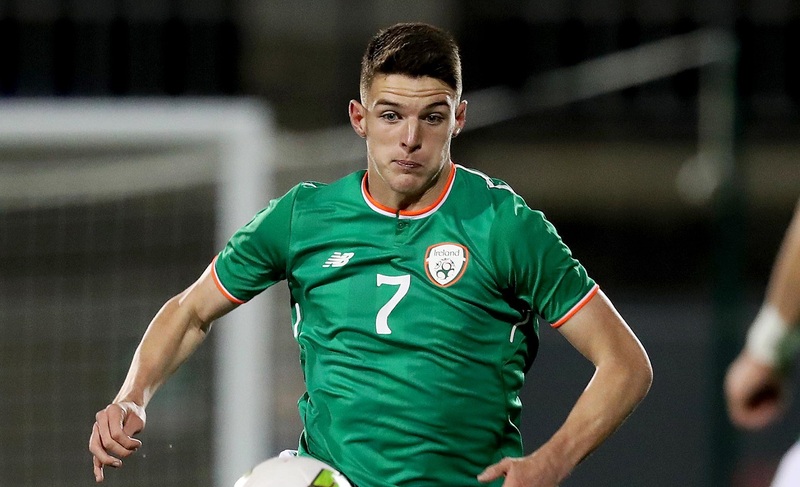 Rice plays in midfield for Ireland in an international friendly and is the stand-out player at the Aviva Stadium as fans purr over the future of their side. A second Man of The Match award in three caps for Ireland. The future looks bright. Just two days after Rice’s impressive performance against the USA, the English questions again rear their ugly head. Once, again, however, Rice vehemently shuts down any speculation about him switching allegiances. “I just have to stay focused and play football with a smile on my face,” he said. “I don’t read too much into things and look at social media. It’s all a load of crap. It’s a question that keeps on being asked. But I’m just focused on playing and enjoying my football. There are two games in September (away to Wales in the Nations League on the 6th and a friendly against Poland on the 11th) and I’m looking forward to them. O’Neill holds crucial talks with Rice amid renewed England interest ahead of squad selection for September friendlies. His once so committed comments seem long forgotten. “I’ll speak to him over the weekend and I’d hope that he knows that this Wales game is you committed. That’s the point he’ll have to take into deep consideration. At a press conference, O’Neill drops Rice and confirms England have been in contact and that he is considering his international future. “He is still deliberating. He is a young man. England have spoken to him and we’re aware of that. After months of speculation, discussion and deliberation, Rice releases a statement on his Twitter outlining that he will be representing England at international level. “This afternoon I telephoned both Mick McCarthy and Gareth Southgate to inform them of my decision to submit a written request to FIFA for the transfer of my international registration from the Republic of Ireland to England.